FREE SHIPPING For AIR UNITS ! A revolutionary combination of mechanical and electrostatic filtration captures 99.97% of particles at 0.1 micron on level one. Including allergens and other irritating particles, gases and odors. Discover why Blueair products are Best of Class. 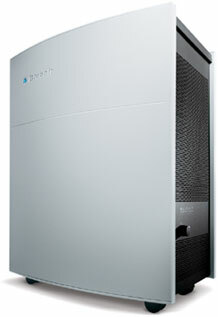 Five different models deliver powerful, near-silent air cleaning for room sizes up to an ample 679 square feet. Blueair's sleek European design complements any decor.